Stitches Creations is back with us again! This year they have made for you a neat Polar bear game. Love the polar bear! SL was not playing nice with me earlier while testing it out but, I still got to sit on it! 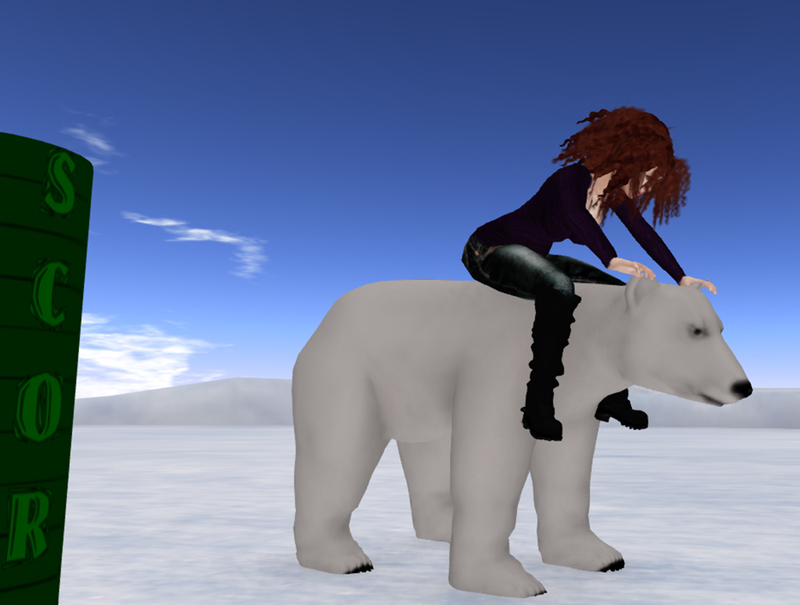 Where else but Second Life can you sit on a Polar Bear without fear of losing an appendage. No hint for this gift, you will have to search their store 🙂 It isn’t too hard to find though! Here is the image!